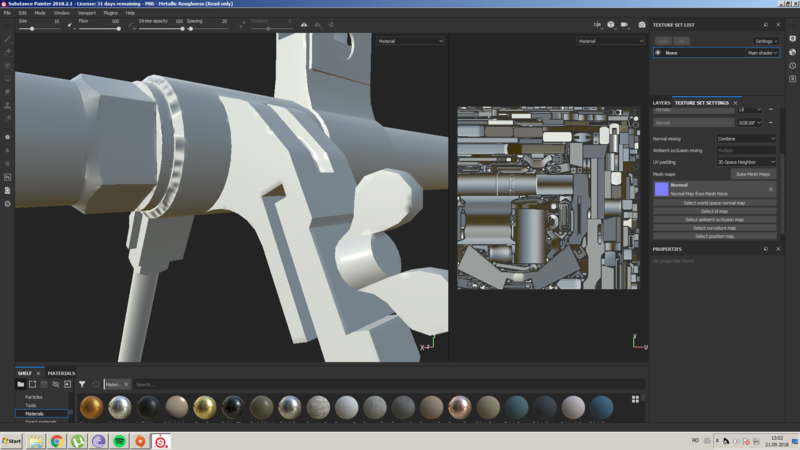 I am having trouble baking normal maps to my BAR 1918A2. I have baked normal map before but on this one it always comes out broken, no matter what program I try. I have tried SP and Marmoset for baking but to no avail. Can someone take a look at the files and tell me what I am doing wrong? well you can try few things one is set the UV padding from 3D Space to UV Space this improve your seams and another thing is for sure look into your uv islands if are some collisions for stretching the maps you need to taking in consideration the padding between islands if none of this resolves your problem then you can send me your files. cheers.